To meme or not to meme, that is the question. Memes are single units of culture — ideas, behavior, customs, or trends — transmitted virally from one individual to the next. On the internet, memes often spread and propagate through blogs, whose very nature makes them ideal for the viral transmission that memes depend upon to survive. Between you and me, I am no fan of blog-memes. They function like chain letters: when a blogger is “tagged” with a meme, he or she must respond in a designated way and pass the meme along, “tagging” other bloggers who in turn must contaminate still others with the meme. I do acknowledge some positive things about blog-memes. They don’t arrive with the predictions of doom commonly associated with chain letters, which promise misfortune or even death to those who break the chain. And memes at bottom are impromptu games — a burst of spontaneity and playfulness — a welcome relief after the tedium of blogging about weightier topics. In short, they’re fun. 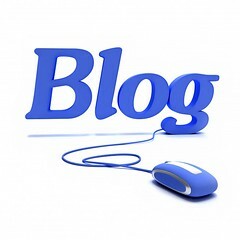 The idea is to post links to five great blogs (other than law blogs) on your blawg and tag five of your favorite blawgers to do the same under the post title ‘5 Blogs & 5 Blawgers’. Since there is little I wouldn’t do for Ed., this is one meme I am only too happy to take part in. The Map Room. I have always loved maps, which not only describe and measure the terrain to be traversed but are also culturally constructed, reflecting the wondrous geography of human minds and hearts. Maps depict places that exist in the world as well as those that exist in our imaginations only. This blog covers all those territories. Neuromarketing. Motto: “Where Brain Science and Marketing Meet”. I’ll let author Roger Dooley do the talking: “We cover both breaking news about relevant brain research as well as ‘big picture’ topics like ethical dilemmas posed by cutting-edge technology.” Fascinating, well-written, and fun. Ethics Newsline. This thoughtful and engaging blog serves as a “weekly digest of worldwide ethics news”. “Jane Austen’s Globalism: Three Lenses for the Future” is but one example of the kind of exemplary writing this blog is known for. Sociological Images. By showing visitors the images that media relentlessly bombard us with, this blog holds up a mirror to stereotypes, judgments, and cultural constructions and depictions of gender, race, religion, sexuality, and more. Not always workplace safe so browse with care. Small Business Trends. A wonderful blog that generously offers smart advice for small business owners like you and me — like this recent article on using Google’s free tools to spot trends on the web. First, my fellow Blawg Review virgins, Victoria Pynchon, Stephanie West Allen, and Gini Nelson. Next, my neighbor, Bob Ambrogi. And last but by no means least, Dan Hull. Friends, may your blogs prosper whether you choose to meme or not.